You have only 24 hours to get in possession of all Croteam games at once. 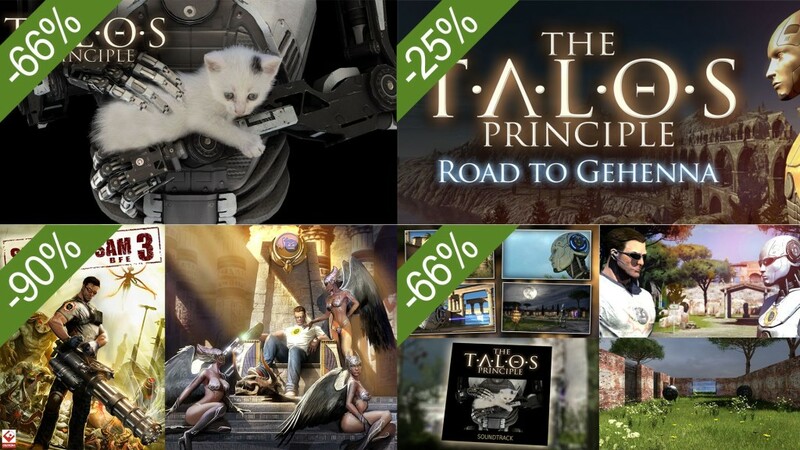 Serious Sam Series is 90 % off, The Talos Principle and it’s DLCs are 66 % off and our brand new extension, Road to Gehenna is 25 % off. Now it’s the time to log on to Steam and buy all these great games. Act fast and buy now or regret later! The Talos Principle has reached Top 10 at Steam Top Sellers List as a part of Devolver Digital Weekend Sale. Serious Sam Complete Pack and Road to Gehenna are also doing well reaching the Top 25. We want to thank our fans for their support and ask to help as even further to reach Top 5 position. Devolver Weekend Sale is on until August 17th so you don’t have much time to think. All Croteam’s games are available at discounted prices up to 90%. For more info check the Steam page http://store.steampowered.com/search/?snr=1_4_4__12&term=croteam . Release of The Talos Principle: Deluxe Edition for PS4 is approaching so we are presenting you with the cover of special boxed edition. This exceptional artwork was designed by our favorite artist Tom J Manning. Check out his masterpiece below! 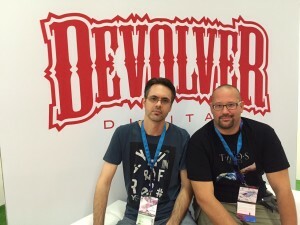 Big Devolver sale starts NOW! Prepare yourself because on this hot summer day this will warm you up even more. 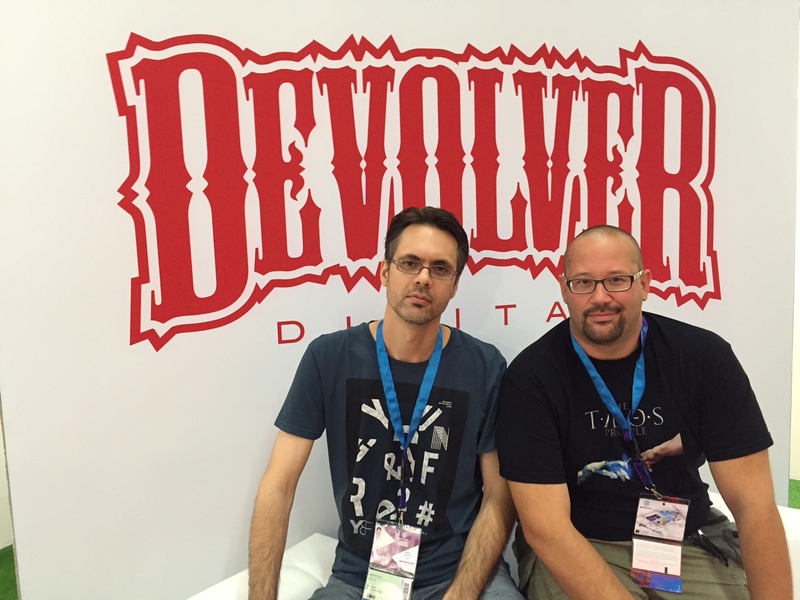 All Devolver Digital titles are on Steam Weekend sale which starts NOW. This is your chance to become a proud owner of ALL Croteam games at once. Offer ends on August 17th but you don’t have to wait until the last minute. Go buy yourself great game(s), you know you deserved it! Check out what Jonas and Damjan said about Talos, Sam, and much more! 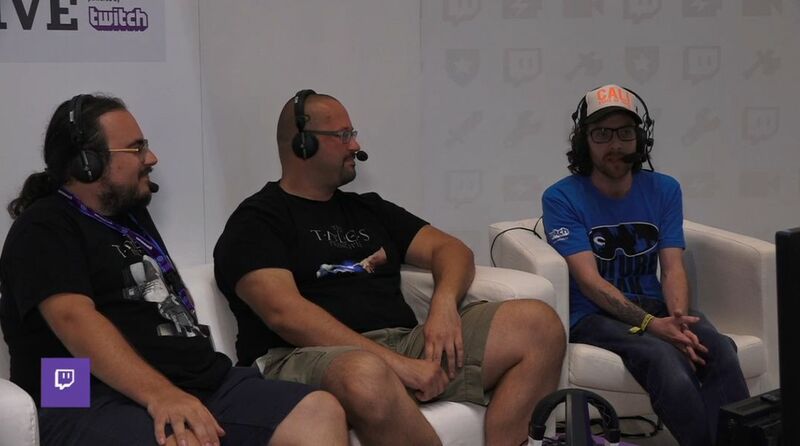 Gamescom 2015 is officially over and soon we’ll start with preparations for the next one. That means more push-ups and squats. In the meantime, you can check the interview made by Twitch with our brilliant minds Jonas & Damjan. 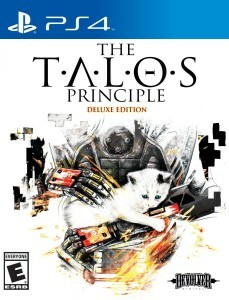 Guys mentioned that the PS4 version of The Talos Principle will come out on October 13th and that the whole team worked really hard to make it look as beautiful as on PC. Deluxe edition will feature brand new expansion Road to Gehenna which expands the story and puzzles even further, as a token of good will to all PS owners who patiently waited for the game. Geekie Awards voting is now open! Voting at this years Geekie Awards is now open so now it’s time to cast your vote for your favorite Video Game of the year: The Talos Principle. You can vote for one nominee in each category once a day. The site will allow you back in at 12:00 Central Time each morning. Although the panel of judges will have final word in choosing the winner, public votes, your votes, will be considered as an added value for the nominees. In other words, if you want to show your love for The Talos Principle, vote for us. Voting ends on August 31st so you don’t have much time to think. Please share this news with your friends and vote if you like the game! Special boxed edition of The Talos Principle: Deluxe Edition distributed for PlayStation 4 will be available in European, Australian and Asian retail stores courtesy of Bandai Namco. Boxed edition alongside the digital one will hit the stores on October 13th. It’s the second day of craziest video game event of the year, Gamescom 2015. Gamescom is now open to public so everyone now have the opportunity to get to know all the cool stuff from the gaming industry. 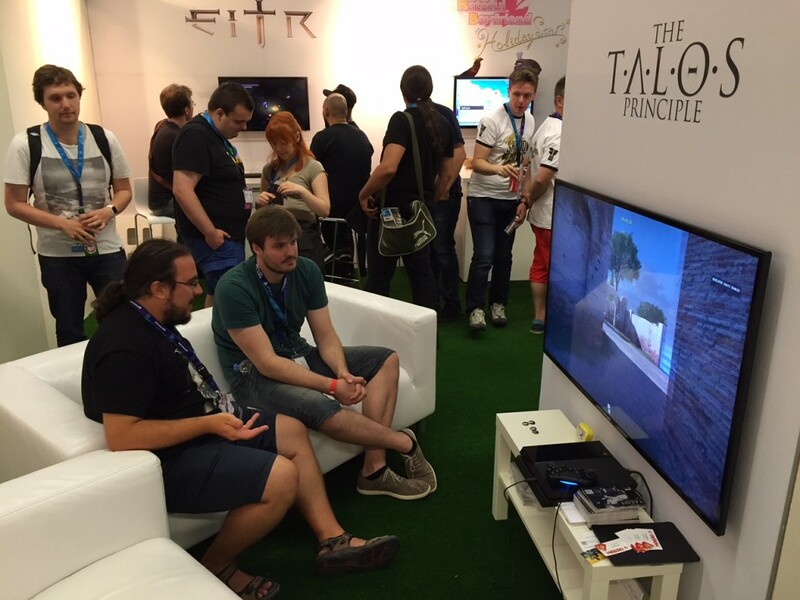 Meanwhile, our members are busy promoting The Talos Principle and Road to Gehenna. Members of our team have successfully arrived in Cologne to be part of world’s biggest video game event, Gamescom 2015. And now they are ready to party. No, just kidding. 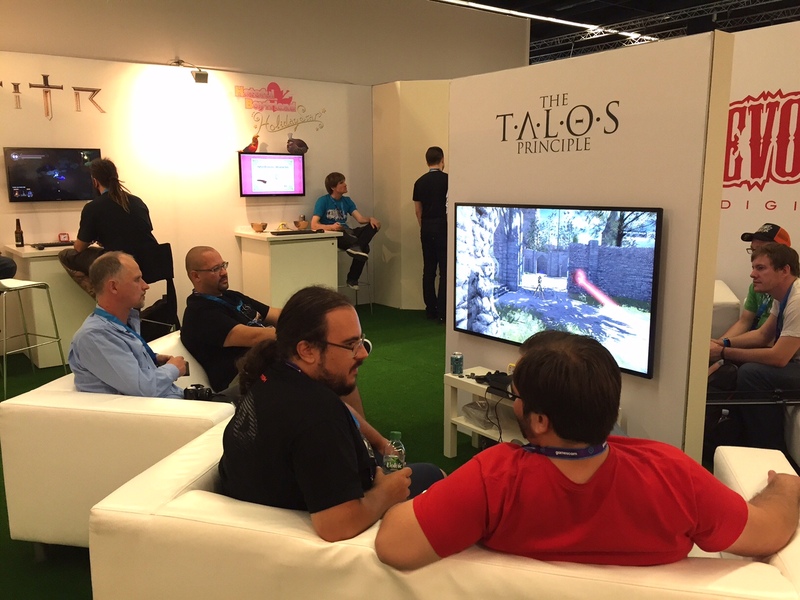 There are in Cologne to do some serious business and that’s to promote everyone’s favorite puzzler The Talos Principle and it’s extension Road to Gehenna. While they are preparing to this hard work, we are bringing you one of the writers, Jonas Kyratzes in action. Oldest Serious Sam secret is finally out! 14 years after releasing Serious Sam, it’s deepest secret is finally out! And that is how to beat the Sacred Yards without killing an enemy. Sounds serious, right!?! Sacred Yards is one of two hidden levels in the original game. Usually you would need to blast hundreds of enemies in order to pass the level but this time CEO and lead designer Roman Ribaric had something else on his mind. The level has a simple layout so he wasn’t sure if it is good enough for the main game but still he and the team decided to kept it as a secret one. So now, 14 years later, the secret is finally revealed. You can read the article here http://kotaku.com/player-discovers-serious-sams-deepest-secret-14-years-a-1720938586.